We know that many of the readers here decided to back the OUYA Android-powered game console through Kickstarter a while back, so today’s news will be welcome. OUYA let some people get their hands around the controller that will be accompanying the console and they got some feedback. That feedback lead to some changes into making the controller into something really well built. First up for change was the D-Pad, people weren’t too excited that it was more of a disc shape rather than the traditional crosspad that allows for accurate clicks. 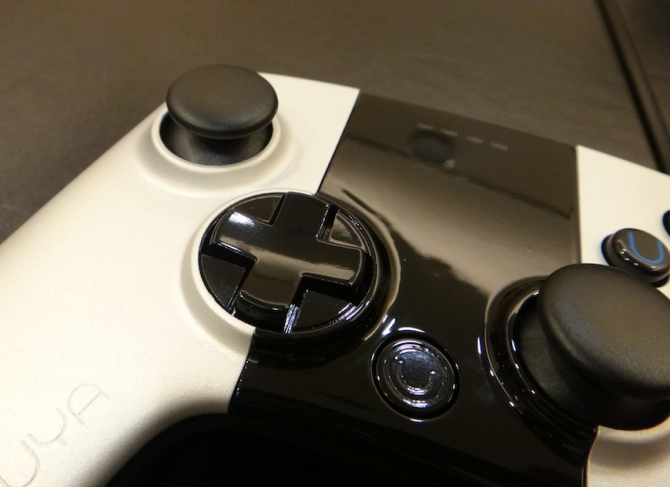 The crosspad has been worked into the controller with the promise that “accuracy and precision are back.” The two thumbsticks were reported as being too slippery so OUYA added a more rubberized grip on top of each of them, and the touchpad in the middle of the controller has been worked to be more sensitive. A couple of tweaks to the battery door and triggers round out a solid update on the most physical part of the OUYA system. After generating so much hype during its Kickstarter program, it’s good to hear from the OUYA team about making their console better. Are you waiting impatiently for these to start shipping?